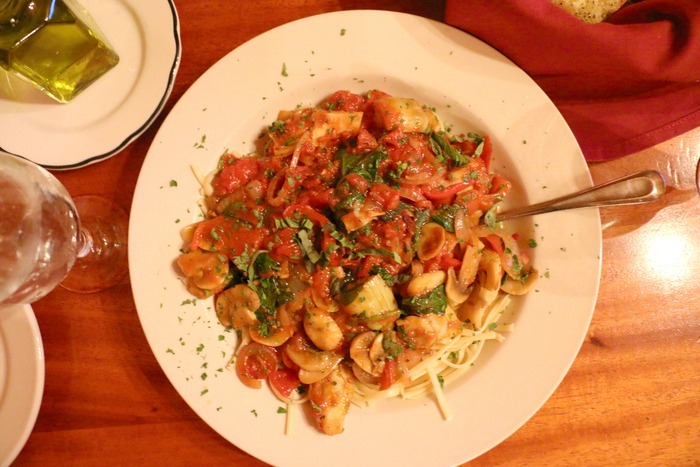 Open 20-some years and going strong, Peppino’s is the place to go for pasta on the mountain. This is Italian food at its finest. Don’t be discouraged by the crowds … it is worth the wait. There are three separate rooms for dining. Depending on the season of your visit, they may not all be open. When we were there, people were seated in just one space, but it was full the entire time. Peppino’s has lots of big tables for families or groups of friends. We spotted many parents and children, and a few couples on date nights. You’ll feel like family … and you’ll want to be, when the cooking is this good. The separate bar is small and intimate, with a few stools, where you can order from the extensive selection of wines and local beers. The authentic Italian music is sure to bring a smile to your face, but just wait until dinner arrives. Peppino’s large menu features all the classics – from several ziti options (go for the vodka sauce) to chicken parmigiana and florentine, veal marsala, shrimp scampi to the signature Steak Peppino – topped with a red wine, garlic and mushroom demi-glaze reduction. Get your mouth watering ahead of time when you look at the menu here. The atmosphere lends to the experience – with wood cross beams on the ceilings and cozy fireplaces at the end of each room. 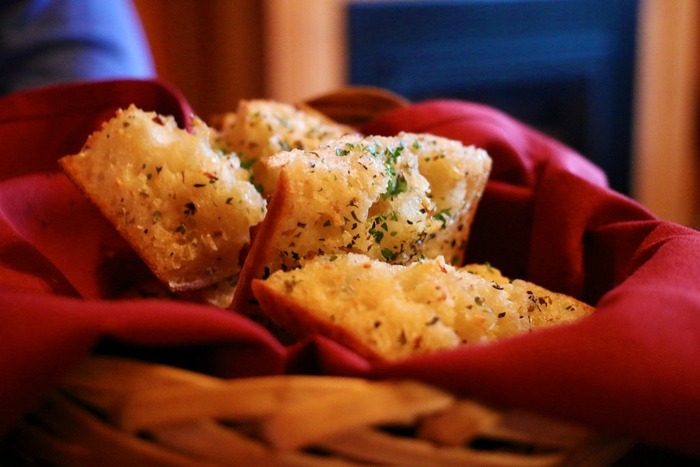 From-the-oven garlic bread practically melts in your mouth. Dip it into your leftover sauce … that is, if you have any left over. We also sampled the primavera with marinara, mushrooms, artichokes, onions, spinach and red peppers. We’ll be back to sample every other dish they make. Peppino’s opens at 4 p.m. and offers half-price appetizers and flatbreads from 4 to 5. Sounds like a very happy hour, indeed. 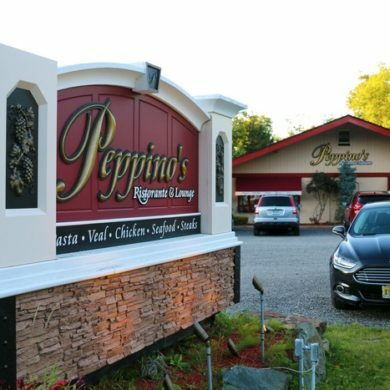 Peppino’s is located at 747 Killington Road in Killington VT. For more information, visit the Peppino’s website or call (802) 422-3293.